Krappie Kings may have to change the name of their show to: Krappie S L A B S if Karl Kalonka keeps coming to Lake D’Arbonne. He and James Morgan of Farmerville caught these white crappie in a “warm up” round Wednesday afternoon. Lake D’Arbonne is fit for royalty! No kidding. If you google “where do Kings fish?”, you will get a variety of answers, mostly about places to eat fish. But if you are in the know, you will know that Lake D’Arbonne has it’s fair share of royalty. 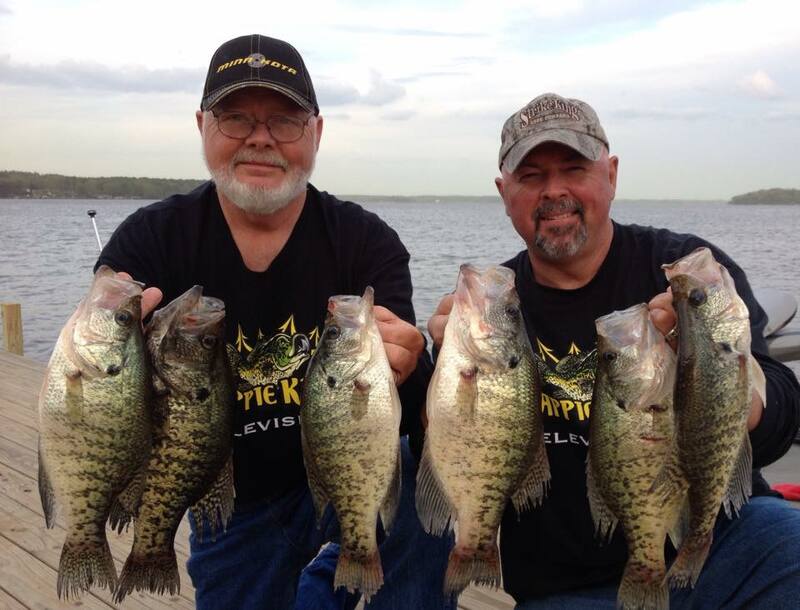 In fact, Krappie King Karl Kalonka is on the lake this week, filming another show or two for next spring’s season on the top crappie lakes in America. That’s just a couple of weeks after Monk Anderson was crowned King Bass and Andy Taylor was crowned King Crappie in the first annual King of D’Arbonne tournament this spring. But this time of the year, the real KING around here is Mr. (or Mrs.) Crappie! Kalonka arrived at D’Arbonne Pointe today and went out for a little evening fishing with James Morgan of Farmerville. They got a few whoppers. Today he will be on the lake with B’n’M Duck Commander poles pros Jay Stone and then John Godwin Friday, followed by another trip with James on Saturday, if the weather cooperates. The Tourist Commission and Kendall Terral hosted a steak lunch for the visitors at D’Arbonne Pointe yesterday, featuring some SLAB steaks provided by Big Star. I’m glad the folks weren’t too full to fish! He will also be having a potluck dinner with members of the Tourist Commission and their spouses on Friday night. Welcome to the lake and Union Parish, Karl! Krappie Kings Television is a thirteen episode series shot in High Definition that combines the best of all elements including fishing, instruction, destinations, characters and appetizing culinary techniques by unique chefs that not only targets a core viewer, but captivates, appeals and entertains the widest audience available. 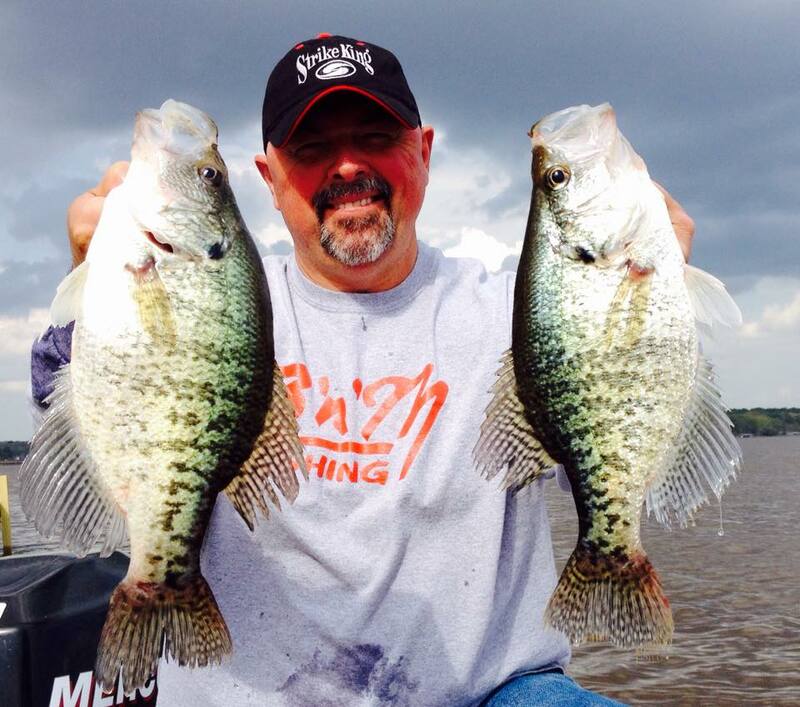 You can join Kalonka on his road tours to some of these classic crappie fishing destinations from the hills of Tennessee, Kentucky and Alabama to the spectacular landscapes of Louisiana, Mississippi, Oklahoma, Texas, Florida, Indiana and every place in between. Three shows featured Lake D’Arbonne this year. Each destination is featured showing all the tourism, restaurants, lodging and angling attractions, cultural nuances and reasons why anglers and their families would want to visit. The crisp combination of big fun, big fish and big flavor make the nature of this series that much more fascinating. « D’Arbonne crappie like the Rattler!